Surely Appian is not a Site Development Tool. So we should avoid the use of a system for just UX development. We should look for process automation as much as we can mature the use cases. Not many products like this exist, due to the tremendous effort needed to get them off the ground, but for data mining this product is perfect! Easy to modify the appreance of a form: you can do it with users. Flexibility: you can really create a lot of different apps for different topics. The speed in development in order to have the first functional mock-up as soon as possible. No source control. In 19.1 they have included very minimal source control, but basically if you want to use GIT etc. you might be out of luck. Appian boasts it is "low code", but it is anything but, especially if you want to do anything non trivial. To Appian's defence on this one, I've not seen any framework that is truely "low code". I've also noticed Appian's marketing has moved away from this. Very hard to install and upgrade. This should be easy, but very hard to get right, very easy to mess up. Doesn't scale easily, this again is a lot of hard work to get right and hard to maintain. Would like a more personal support mechanism (i.e. if a ticket has gone back and forth, say 3 times, and still not resolved, people should get on the phone). It was really seamless. SaaS in the true definition of the word. We logged on and started using the product. Very easy. Have evaluated a number. Pegasystems and others are similar but use scripting languages a lot which requires technical knowledge to apply. 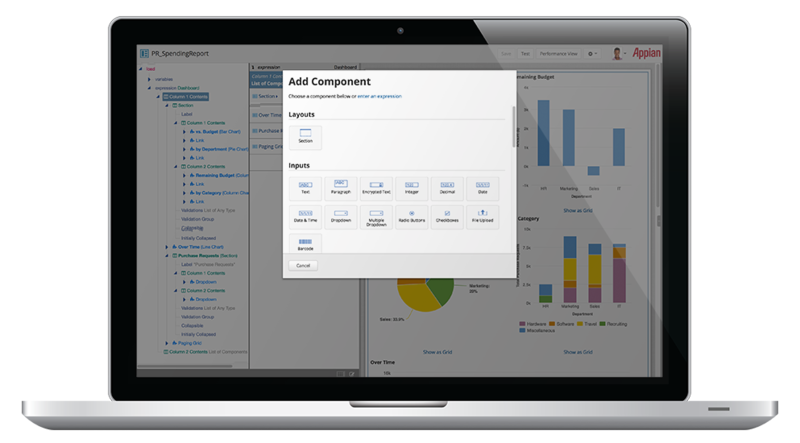 Appian's improvements on the dynamic forms have greatly improved the functionality but there are some improvements there. I think if Appian had a form process flow designer that would be for specifically the form that worked in conjunction to the process flow designer I think that would be awesome for point and click form design and logic development. Less expensive then the competitors, modules are self-sustained and able to function directly. It involves less coding, and a lot of things can be done in house! Master data process increased speed of processes 50%. Product management processes increased timely information by 25% faster with decision making. Improved accuracy of data across the enterprise as reduced issues by 20%. Ability to aggregate multiple sources and gather with Informatica has been great! Ability to revert data back to the users in a timely fashion is a great asset of Informatica MDM. Coding of the modules and such in-house has saved us thousands!